Most parents are unprepared for the reality of how much your sleep changes after having a baby. Taking care of a newborn takes its toll on parents. “Sleep when the baby sleeps,” some experts say. While this is good advice, it doesn’t address some barriers … what if the baby isn’t sleeping reliably? What if mom is breastfeeding and has little support? Last but not least, what if you simply find that you can’t sleep when the baby sleeps? 1. 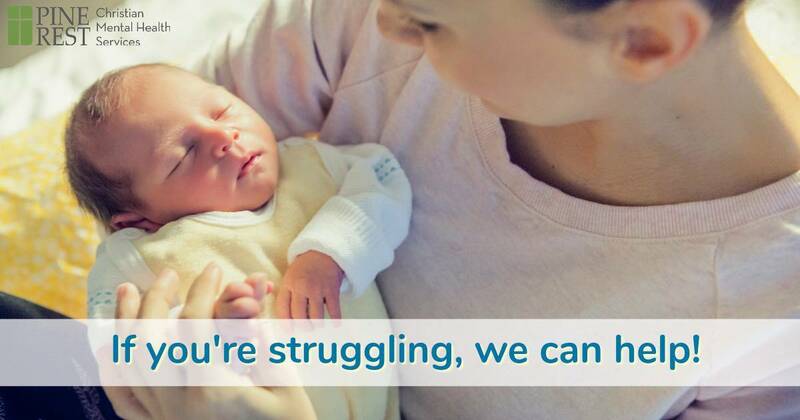 Talk to other parents about newborn sleep patterns and ask about their experiences. Most new parents do not know what a normal newborn sleep pattern looks like. Allow yourself to learn from others who’ve been through it. Learning what worked for other parents may help you figure out what will work for you and your baby. 2. But don’t make comparisons! Don’t allow yourself to become discouraged by comparing yourself to other new parents or getting caught up on advice that is not helpful. 3. 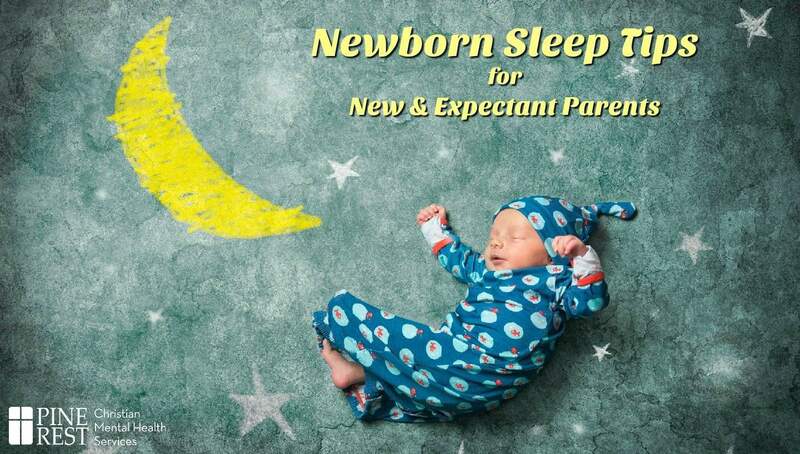 Know that newborn sleep patterns vary greatly. It’s not uncommon for a newborn to sleep anywhere from 30 minutes to 4 hours at a time! Plus, the total amount newborns actually sleep can vary greatly from day to day. In the first few days, your newborn may sleep as much as 16-18 hours, and by 4 weeks closer to 14 hours. Some infants sleep as little as 9 out of 24 hours. 4. Newborns sleep in ‘active sleep’, which is a lighter sleep state. Most newborns are very noisy sleepers! As your little one snoozes, you’ll notice fluttering eyelids, rapid irregular breathing, occasional body movements, brief cries, grunts and other noises. Not to worry, this is all totally normal and does not indicate a probvlem with baby. It’s also not necessary for you to try and keep a totally quiet household while baby sleep – in fact, getting baby used to some background noise now can help her develop into a more solid, restful sleeper. So try to make a habit of playing soft music on the radio, talking with others or playing with older kids, or even running the vacuum while your newborn naps. 5. Understand that newborns don’t have the same circadian rhythm that we do. Structuring your newborn’s sleeping, play and feeding cycles can help improve this rhythm, though it can take a minimum of at least 12 weeks before a solid sleep and wake pattern is developed and formed. 6. Rest when the baby sleeps! You may not be always be able to sleep when the baby sleeps – although it’s great when you can! But even if you don’t sleep, resting your body can help your mind reset. So in the first weeks, give yourself permission to let the dishes, laundry and cooking wait if possible. Better yet, find family members who can take over those tasks for you until your newborn falls into a more predictable schedule. 7. 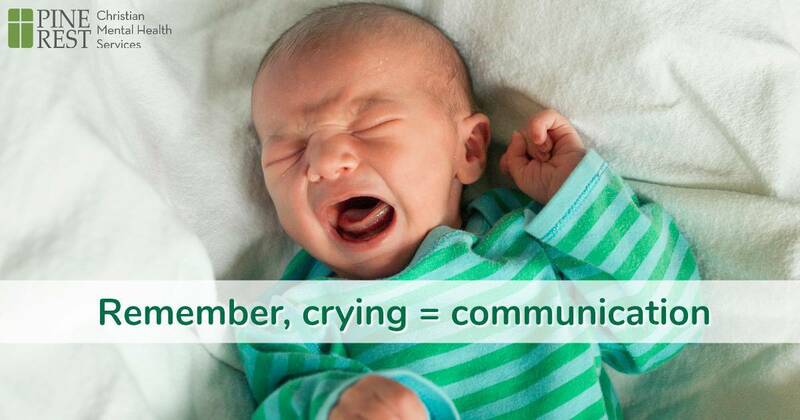 Remember that for a newborn, crying = communication. Your baby’s crying is NOT a sign that you’re just doing something wrong, so try not to let it upset you. Notice if you are taking the baby’s crying personally. Talk with your doctor or therapist about this feeling to help sort out it out. Feeling this way can be a sign that you may be struggling with anxiety and/or depression. 8. Practice saying YES when someone offers help. When someone offers to drop off a meal, fold a few loads of laundry or watch the baby so you can shower and nap, say “Yes, that would be great!” People want to help, and you’ll need the help – especially in those first few weeks. Offers for help tend to dwindle as baby gets older, so allow yourself to do less now when you need rest the most, by allowing others to do more. It can be hard to accept help, but you need it … and remember, people like to help! … it could be a sign of anxiety or depression. Talk to your doctor or therapist about your symptoms. Anxiety symptoms can cause someone to be hyperaroused and not be able to rest. It might not feel like anxiety, it might feel like you are going crazy. Rest assured, you are not going crazy. 10. Breastfeeding can add an extra challenge. If you are breastfeeding at night or getting up to pump, it can be quite a challenge. Know that you will need support. If you feel you can’t go on with this routine, give yourself permission to know breastfeeding is a choice. If you want to keep up with it, that is great. If you are ready to add some bottle feeding to the mix in order to give yourself an occasional break, or even stop breastfeeding completely, know that is fine, too. If you would like more support on making decisions regarding feeding your baby, check out this article “Is Breast Always Best?” by Karen Kleiman. Do you have questions? Need to find resources? Not sure where to start?